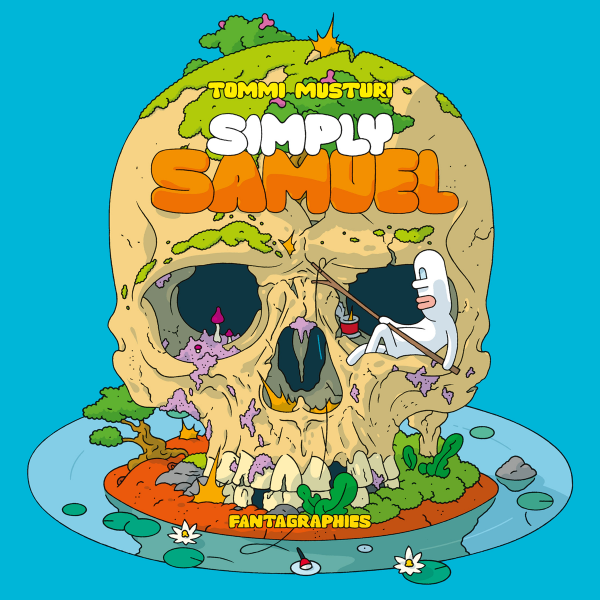 I think this is a Tommi Musturi silent book of recent vintage, and Musturi's cartooning is always welcome. It's also one of the few slam-dunk alt-comics offerings of the week, and I feel like those should be supported given the chance. I think when McDonnell's career finally ends this book will look like a near halfway point splitting of the strip between its reputation for elegance and charm and its naked support for the social issue encompassed by the care for animals. It will be a positive appraisal, I hope. Most of the action this week is here in the single-issue comics. 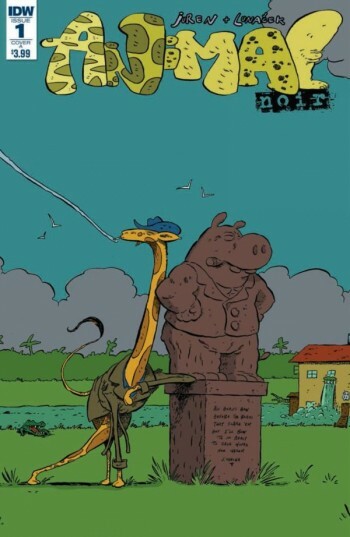 Animal Noir is a European comic brought here to live or die in serial comic book form. That usually doesn't but that's a charming book where a lower price might bring readers happy to have new comics-makers an entry point into new work. There's your Mignola. There's the inexplicable Flinstones minor hit: it really does work pretty well, and I get zero out of the other comics they've brought back to the stands this time around. Walking Dead day I imagine is still a pretty happy day at most comics shops, right up there with Saga day. Doctor Strange is a rare well-regarded serial comic for Marvel right this second. They've already had spinoffs. Cerebus In Hell I'll catch up to, I swear, just not yet. Here are three exemplars of the new mainstream approach, all of which have solid creators at work on them. I don't quite understand the appeal of wretched 1970's genre comic re-dos, just as something which to do, but I like a number of the comics that results. Reich I've learned is an Alternative Comics re-do of the Sparkplug series. I look forward to this series as IDW continues to put them out, particularly they get into what I remember to be more interesting and more elegantly drawn material. The nice thing about that kind of perception is that even if it's more of the same I get to wrestle with my perceptions versus the work's reality. I have a hunch there will always be Rocketeer re-issues of one sort or the other: that character's special fit. This is basically a slightly downscale Artist's Edition, under $50, same treatment of the art, softcover instead of hard. No matter what, every Stevens re-formatting will be extremely attractive. I'm not sure how these comics work for modern superhero fans but to me the couple of issues I bought were pretty funny: the strike-and-shatter Inhuman recast as a young Kurtwood Smith, verbally on point, having unpleasant adventures and irritating anyone he might possibly talk to rather than chop in the head. It's a weird enough day at the comic shop I don't mind ending with a giant Marvel comic in a format I don't understand. I think I do have sort of a grasp on the format here: Marvel's long had success with these super-fat hardcovers that I guess go to those guys in suits I've long heard about but only ever see in Midtown Comics. I liked the heck out of these comics when I was a kid and re-bought the originals for me to consume as an adult when these collections were a twinkling in some lawyer's eye. They have that slight bump in maturity that the British Avengers TV show had, that idea you're at the adults table even if you haven't quite earned it. 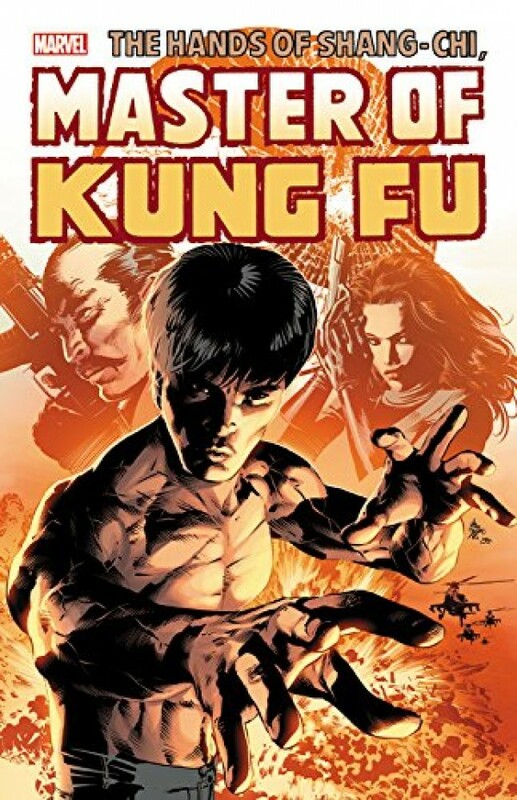 Plus: kung-fu.